IMPORTANT: This is still a very early work in progress. Anything you experience in this mod is subject to change in the next version. It aims to provide a more balanced and less frustrating gameplay experience for NFS 2015 by making Grip more viable to use and tuning Drift to be less overpowered. In the future, I'm hoping to completely bypass customization restrictions, among other things. Big things are coming in the future for this mod. This version will eventually be retired in favor of a new branch of the mod that I'm working on that'll work much better than the current version, using fewer tweaks and hacks to work around Ghost's handling model. I may or may not still provide updates to this branch, depending on whether people prefer the new one over this one. It should be as simple as extracting the archive to anywhere of your choice and opening the mod manager. Once it opens, navigate to the directory that you have NFS 2015 installed and select NFS16.exe. Then, select the mod and make sure it's enabled. If you have any issues with installation, let me know. 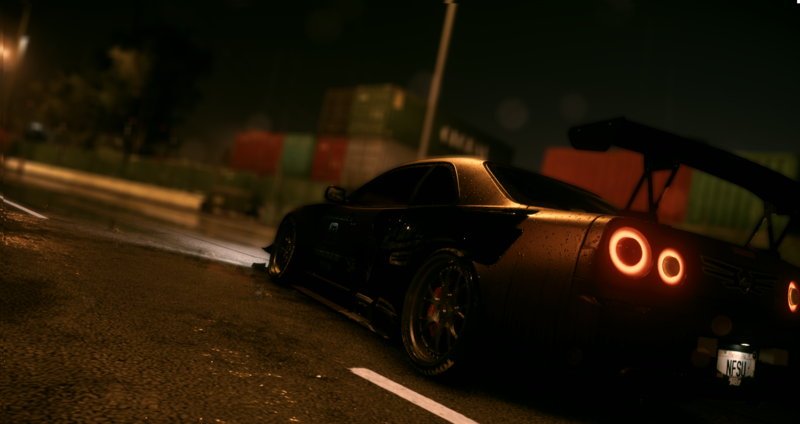 Drop the files from the Update folder into the main directory of Need For Speed 2015. ONE LAST REMINDER that this is still an extremely early version of the mod. DO NOT expect things to work perfectly at this point or even anytime soon. That being said, please report all bugs and inquiries to me so I can work on them and use feedback to create a better mod. - Gear tuning has been removed and reverted back to Brake Drift Assist. This feature will be restored in the future after adding it separately to the UI. - Minor changes to physics again, should have fewer issues with some handling bugs inherited from the base game. - Performance should be back to normal for all cars; there was a bug that caused performance to appear lower than it actually was. - Installation method is back to using the mod manager because the last method, although more performance-efficient, was confusing for many users and was also a larger file. Cars should handle even better now, with less steering lock-ups. -Less speed loss in corners. -Scandinavian Flicks now work how they should have when the game came out, instead of confusing the physics engine and then throwing you into a wall. -Tuning all the way for drift should actually work for some cars now. Brake Drift Assist has now been changed to gear ratio tuning, but the name remains for now until I figure out how to change it. Crash cams have been altered again until I can find a way to reduce the probability of triggering one. Drifting is now viable again with most cars and should work well with the right tunes. Removed many more customization restrictions(still working on how to get bodykits to show up as separate parts). Improved cops, thanks to TunerzNO who tuned them much better than I was able to. A stopgap until the next "major" release. Steering should feel less heavy now and wheels should lock far less than before. A few more cars are added to the "unrestricted" list: RSX after I realized that I never finished removing the restrictions, Honda Civic Type R, BMW M3 E30, Chevrolet Camaro Z28, and the Corvette Z06. Tweaked handling a bit, improved handling of FWD cars. Cops may or may not be tougher now, they have minds of their own. -"Unrestricted cars" include: Acura RSX, BMW M3 E46, Honda Civic Type R, Mazda MX-5 NA, Nissan GT-R Premium 2015, Nissan Silvia, Nissan Skyline GT-R BNR34, Nissan Skyline GT-R BNR32, and Toyota Supra. Eventually the entire car list will be capable of this. Fixed some center steering issues. Cars should now feel more responsive after completely locking a turn in a direction. A bug with the Fairlady 240ZG's suspension should be fixed now. Tweaked the cops just a bit. Finish removing restrictions, including the ones on bodykits. Various other important unannounced things. @JustDaz I'll put out another patch for this version of the mod soon that works around the crash cams(controlled by the server) which is something that I've recently discovered. Because of that, I believe that I can also find a way around the storage limit(also controlled by the server) so once I figure that out it'll also be in this version of the mod. As for the torque and gear ratio fixes, that'll most likely just be released as a separate mod unless I get sent the modified files. Will there be a patch of removing the storage limit for cars as well as the Torque + Gear ratio being fixed once tunerz has worked on it? Can you upload only the restriction remover and the option to remove parts as a stand-alone mod? I don't wanna change the game handling and make some cars don't work or have to use specific tunings, I want the normal handling and only the restriction remover and the part remover. Can you do it please? @ShinyStorm2004 The "Update" folder just has to be dropped in whatever folder NFS16.exe is in, unless it is a localization issue which can happen because I left the "loc" folder in the files.